In 2011, Austria-based International Jet Management was fined for operating charter flights from Russia and Turkey to Germany without having the authorization required by German legislation to enter German airspace. The operator was denied authorization because IJM was not able to produce a ‘non-availability declaration’, which was a declaration that no German airline was willing or able to operate the flights concerned under similar conditions. 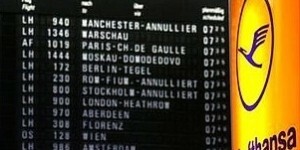 On March 18th, 2014 the European Court of Justice (ECJ) ruled that the authorisation requirements (that didn’t apply to German undertakings) for operating flights between Germany and third countries were meant to protect the national economy, and did not entirely recognize an operating license granted on the basis of EU law by another Member State. As a result, air carriers that are holding an operating license following EC Regulation 1008/2008, do no longer need to apply for an entry permission to air services between Germany and third countries. This ECJ ruling bans discriminating measures and is therefore an important step towards a more free and unified aviation market. International Jet Management is a business aviation operator that is operating private non-scheduled flights, i.e. commercial flights operated on an ad hoc basis (charters). The company holds an operating license issued by the Austrian Ministry of Transport in accordance with regulation number 1008/208. It also holds an AOC, which had been issued by Austro Control GmbH, a company providing public services and whose shares are owned by the Republic of Austria. The airline offers air transport services within the European Union, and also operates flights between the EU and third countries, as it did between December 9th, 2008 and March 15th, 2009. At that time, International Jet Management was operating on six occasions private flights to Germany from Moscow, and on one occasion to Ankara. However, International Jet Management did not have, for any of those flights, the authorisation to enter German airspace provided for in Paragraph 2(7) of the LuftVG, read in conjunction with Article 94 et seq. of the LuftVZO. In three cases the Luftfahrtbundesamt (Federal Office for Aviation) had refused it the authorisation to enter German airspace on the ground that it had not produced a ‘non-availability declaration’, namely a declaration that the air carriers holding an operating licence issued by the German authorities were either not willing to operate the flight in question or were prevented from operating it. In the other cases, the Luftfahrtbundesamt had not yet given a decision on the application for authorisation at the time of the flights. 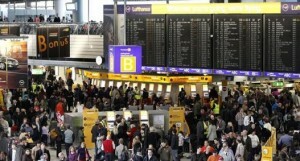 Following those flights, International Jet Management was ordered, by a judgment of May 24th, 2011 of the Amtsgericht Braunschweig to pay various fines for infringement of the legislation in force. In its appeal case International Jet Management claimed that Regulation No 1008/2008 confers on it the right to fly aircraft freely in European airspace, without it being required to obtain beforehand an authorisation issued for that purpose by the Member States concerned. It its view the market is free for airline companies established in Member States and wishing to operate air transport services. In the view of International Jet Management the general prohibition of any discrimination under Article 18 TFEU precludes in any event the imposition of the fines as imposed to International Jet Management. The requirement of an authorisation to enter German airspace in respect of the provision of air space from a third country is discriminatory given that, in reality, the Luftfahrtbundesamt examines only matters which have already been checked by the Austrian authorities, which is incompatible with the interpretation of that provision of the FEU Treaty by the Court in its judgment in Case C-382/08 Neukirchinger (2011) ECR 1-139. 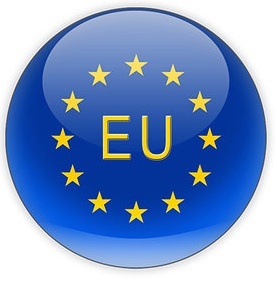 Furthermore, International Jet Management argued that the national legislation at issue is incompatible with the free movement of services guaranteed by Article 56 TFEU. Needless to say that the public prosecutor’s office had sought the dismissal of the appeal. According to the prosecutor’s office the rule requiring that an authorisation be obtained is a measure for the protection of the national economy. In addition, the public prosecutor’s office stated that Regulation No 1008/2008 applied only to intra-Community flight services, and that the freedom to provide services guaranteed by Article 56 TFEU does not apply to air transport, and as a last argument states that the scope of the probation of discrimination laid down in Article 18 TFEU is not affected either in present case. The requirement for authorisation to enter German airspace not only serves to protect the national economy but also meets safety needs. The authority issuing the authorisations requires from companies from other Member States that they produce not only a non-availability declaration, but also evidence of insurance and that AOC issued by their Member State of origin. Since the German Court of Appeal was uncertain as to the interpretation to be given to Article 18 TFEU and as regards its applicability to the dispute before it, it referred three preliminary questions to the ECJ. The German Court of Appeal asked in essence, whether Article 18 TFEU is applicable to a situation, such as that at issue in het main proceedings, in which a first Member State requires an air carrier holding an operating licence issued by a second Member State to obtain an authorisation to enter the airspace of the first Member State to operate private flights in non-scheduled traffic from a third country to that first Member State, although such an authorisation is not required for air carriers holding an operating licence issued by that first Member State. According to the ECJ EU legislature has not, at this stage, under the shared competence conferred on it in the transport field by Article 4(2)(g) TFEU, adopted measures based on Article 100(2) TFEU on liberalisation of air transport services covering the routes between Member States and third countries, Article 18 TFEU may nevertheless be applied to such services, provided that they fall within the scope of application of the Treaties, within the meaning of that latter article. It is therefore necessary to ascertain whether an air carrier with its seat in a Member State, which is the holder of an operating licence issued by the authorities of that Member State in accordance with Regulation No 1008/2008 and which, in respect of the provision of air transport services to another Member State, is subject to the requirement to obtain prior authorisation, the fact that the services at issue are provided from a third country is such as to preclude the application of Article 18 TFEU. Further the ECJ states that Regulation No 1008/2008 does not only regulate the right of Community air carriers to operate intra-Community air services, but also the licensing of those air carriers. The conditions laid down in Article 4 of Regulation No 1008/2008 for the grant by the competent authority of a Member State of an operating licence to an undertaking, include in particular the condition that the ‘principal place of business’ of that undertaking is located in that Member State and the condition that its main occupation is to operate ‘air services’ in isolation or combined with any other commercial operation of aircraft or the repair and maintenance of aircraft. It follows from those various provisions that, in respect of the provision of air transport services, including those between a Member State and a third country, an air carrier, such as International Jet Management, whose principal place of business is located in a Member State, must possess an operating licence granted by the competent authority of that Member State in accordance with the provisions of Chapter II of Regulation No 1008/2008. Such an operating licence guarantees that that an air carrier obtained it in compliance with the common rules, in particular those concerning safety, and must therefore be recognised by the authorities of the other Member States. It is apparent for the ECJ that the air transport services provided between a third country and a Member State by an air carrier holding an operating licence issued by another Member State are regulated by secondary legislation and that the air transport services concerned are provided from a third country is not such as to prevent that situation from falling within the scope of application of the Treaties within the meaning of Article 18 TFEU. According to the ECJ’s settled case-law, Article 56 TFEU requires not only the elimination of all discrimination against providers of services on grounds of nationality or the fact that they are established in a Member State other than that where the services are to be provided, but also the abolition of any restriction, even if it applies without distinction to national providers of services and to those of other Member States, which is liable to prohibit, impede or render less advantageous the activities of a provider of services established in another Member State where he lawfully provides similar services. Therefore, while the Member State are entitled to impose certain restrictions on the provision of air transport services in respect of the routes between third countries and the European Union in so far as the EU legislature has not exercised the power to liberalise that type of service, those States nevertheless remain subject to the general principle of non-discrimination on grounds of nationality. In short, article 18 TFEU is applicable to a situation, in which a first Member State requires an air carrier holding an operating licence issued by a second Member State to obtain an authorisation to enter the airspace of the first Member State to operate private flights in non-scheduled traffic from a third country to that first Member State, although such an authorisation is not required for air carriers holding an operating licence issued by that first Member State. Towards a legal level playing field ? of a first Member State which requires an air carrier holding an operating licence issued by a second Member State to obtain an authorisation to enter the airspace of the first member State to operate private flights in non-scheduled traffic from a third country to that first Member State, although such an authorisation is not required for air carriers holding an operating licence issued by that first Member State. The legislation of a first Member State which requires an air carrier holding an operating license issued by a second Member State to obtain an authorisation to enter its airspace in respect of flights from a third country, although such an authorisation is not required for air carriers holding an operating licence issued by the first Member State, establishes a distinguishing criterion which leads to the same result as a criterion based on nationality. In so far as the operating licence is issued by the competent authority of the Member State, in which an air carrier has its principal place of business, such legislation disadvantages only air carriers with their seat in another Member State. The same is also true, a fortiori, of legislation of a first Member State which requires only those air carriers holding an operating licence issued by a second Member State, in order to be granted an authorisation to enter the airspace of the first Member State in respect of flights from third countries, to produce a non-availability declaration confirming that the air carriers holding an operating licence issued by the first Member State are either not willing to operate those flights or are prevented from operating them. The Court states that the protection of the national economy cannot justify a difference in treatment such as that at issue in the proceedings. The conditions for the grant of an operating licence to an undertaking by the competent authority of a Member State include the requirement that the undertaking must comply with the insurance requirements of that regulation. Likewise, an operating licence can only be issued by such an authority if the undertaking requesting it holds a valid AOC. An AOC confirms that the operator has the professional ability and organisation to ensure the safety of operations specified in the AOC, as provided in the relevant provisions of European Union or national law, as applicable. The ECJ concluded that legislation as that at issue constitutes discrimination on grounds of nationality, aggravated by the fine imposed in the event of failure to comply therewith. Consequently, the answer to the second and third questions is that Article 18 TFEU must be interpreted as precluding legislation of a first Member State which requires, on pain of a fine, an air carrier holding an operating licence issued by a second Member State to obtain an authorisation to enter the airspace of the first Member State to operate private flights in non-scheduled traffic from a third country to that first Member State, and which makes the grant of that authorisation subject to production of a declaration confirming that the air carriers holding an operating licence issued by that first Member State are either not willing to operate those flights or are prevented from operating them. According to the ECJ, Article 18 TFEU is applicable and must be interpreted as precluding legislation of a first Member State which requires, on pain of a fine, an air carrier holding an operating licence issued by a second Member State to obtain an authorisation to enter the airspace of the first Member State to operate private flights in non-scheduled traffic from a third country to that first Member State, although such an authorisation is not required for air carriers holding an operating licence issued by that first Member State, and which makes the grant of that authorisation subject to production of a declaration confirming that the air carriers holding an operating licence issued by that first Member State are either not willing to operate those flights or are prevented from operating them. NEXT NEWSLETTER WILL BE ISSUED IN SEPTEMBER 2014.